Ordinary People DO Change the World: "I am Jane Goodall"
Brad Meltzer is a historian, host of the History Channel’s ‘Decoded’ and a best selling mystery and thriller author. So what is he doing writing children’s books? I wanted my kids to see more than princesses and sports figures. I wanted them to see real heroes — Amelia Earhart…Abraham Lincoln — real people no different than themselves. 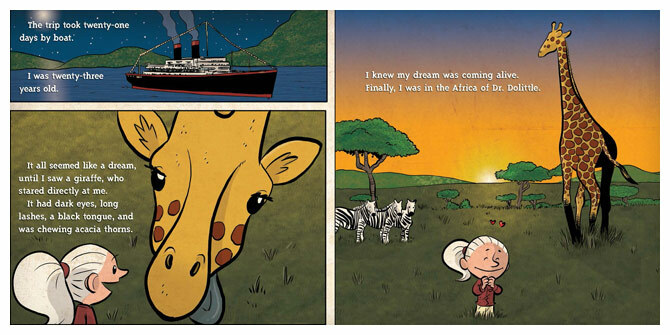 For that reason, each book tells the story of a hero when THEY were a kid. We see them as children. So it’s not just Amelia Earhart and Abraham Lincoln being famous — but them being just like us. 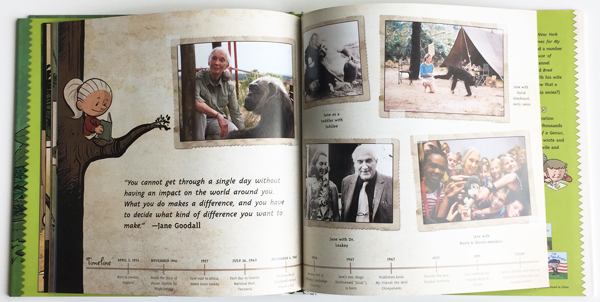 “I am Jane Goodall” tells the story of the chimpanzee scientist, the nature lover and the dedicated champion for animals, Dr. Jane Goodall. The book follows Jane from childhood and her early curiousness pertaining to the natural world, and follows her into her scientific landscape shifting work in Gombe, Tanzania. This book in the hands of so many children shows them that if you look closely enough and stay committed to your dream, you will unlock unimaginable learning and improve the future for those who come after you. Jane’s story most especially describes what her pioneering work did for women in science, and the boundary between intuition and research. Jane’s story is one that will never get old. It first spoke to me as a woman. I found inspiration in her perseverance and determination. Now, as a mom, I find that I want to be like Jane’s mom! This book does a wonderful job of telling the story of those around Jane in her life that may have given her opportunity or supported her in some way along her journey–big or small. The illustrations were cool too! I look forward to reading this book for years to come as my daughter grows old enough to understand the many important messages–first as a girl, then as a woman, perhaps one day as a mom, but most importantly as a person who has a role in making a difference in this world that we all share. 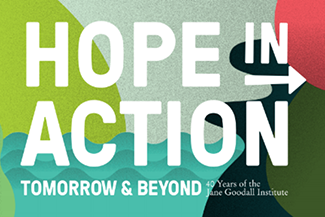 The ripples which occurred as a byproduct of Jane Goodall’s interactions with books, and the evocation of delight and dreaming they resulted in, molded Jane into the person she would become. This special form of entertainment and learning is so unlike film or tv, by giving the reader all of the ability to fill in and provide life to the characters in their own minds. 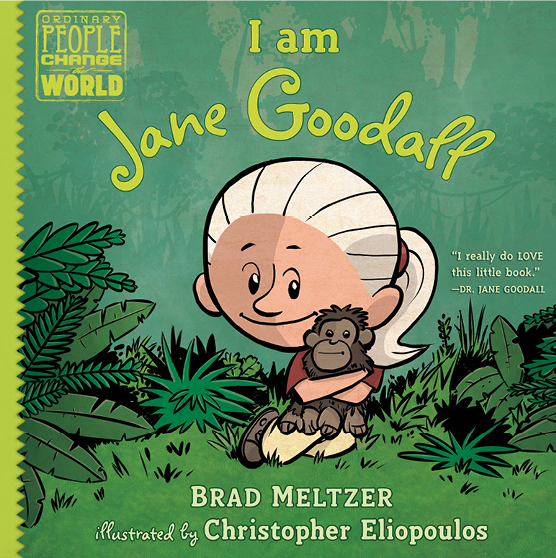 With Brad Meltzer’s series, and especially “I am Jane Goodall,” it is obvious that many, many young people will be changed after reading about this remarkable woman, and in turn will go on to change the world.